My Brush Set is Livin' A Charmed Life! * | Vanity and Everything in Between. Earlier this year, Charm Brushes released a new brush set which was double-ended. Charm brushes are particularly known for their travel friendly brushes but when they released this brush set, it was just another set that any makeup enthusiast couldn't resist. It's double ended so you're actually saving space by bringing less brushes. It comes with a roll-up makeup brush holder, too, which is also perfect for travelling. 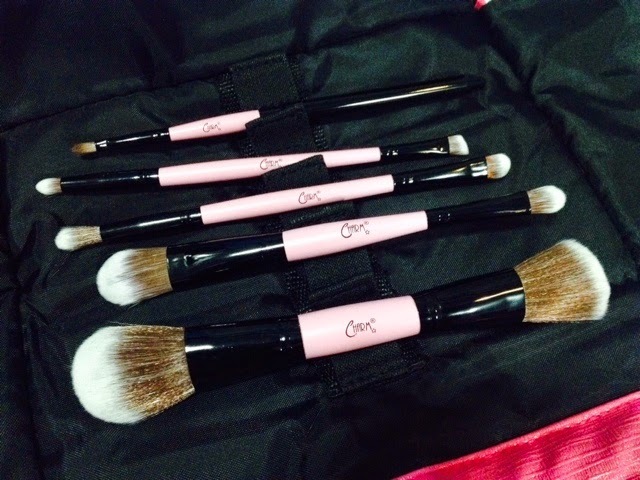 Just toss this inside your bag or luggage and your brushes are safe and sound! It's just impossible not to resist these brushes. IMPOSSIBLE. Methinks, Charm is the reason why I became partial to pink when it comes to beauty. 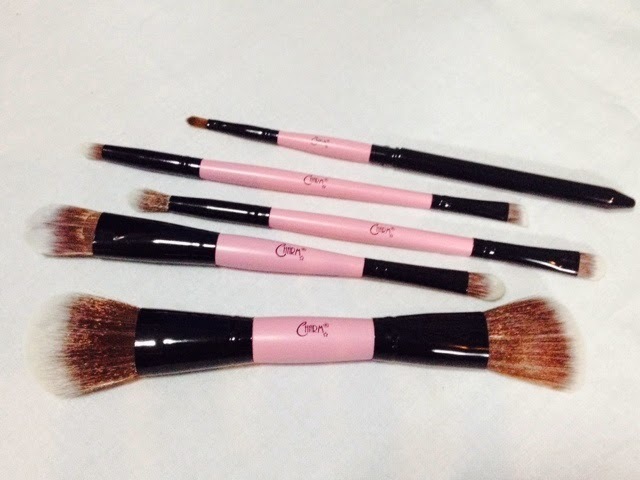 These brushes are gentle and soft even after several washes. They don't hurt your face at all. I particularly love the powder and blush brush duo since I don't always have time to put eye makeup. Here's what they look like inside the makeup brush holder that comes with the brushes. Told you they're safe and sound inside! I really love this brush set because it doesn't occur a lot of space! This set has been to several places, too - Pangasinan, Subic, Hong Kong, and Japan. I usually leave this inside my travel toiletries because I know these are the brushes I could trust my life with. I just bring a brush cleaner with me every time I travel so I can clean it right after using them. Sometimes, wet wipes are just as good! 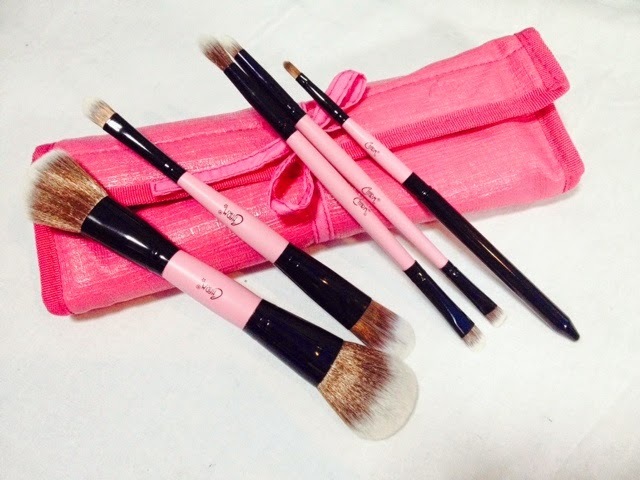 Livin' A Charmed Life Makeup Brush Set retails for PhP1,599.00 and is available online at beautyandminerals.com. 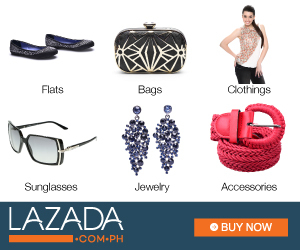 You can also purchase them at a physical store at The Ramp (all branches) and Digital Traincase (Cityland Ortigas). 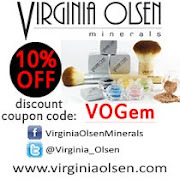 Every now and then they have promos, so you can also follow them at social media networks like Instagram (@beautyandminerals) and Facebook (fb.com/beautyandminerals).